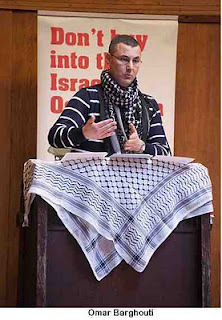 Saturday January 21 marked a watershed moment for the Boycott, Divestment and Sanctions (BDS) movement in the UK, with a standing ovation for Omar Barghouti, founder of the Palestinian BDS National Committee (BNC), at the Annual General Meeting of the Palestine Solidarity Campaign (PSC). 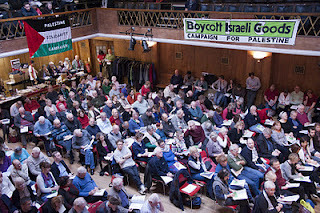 “Today, solidarity with Palestine cannot but include support for BDS as the most popular and one of the most effective forms of peaceful, civil struggle for Palestinian rights,” Barghouti told almost 300 campaigners from all over the UK, meeting in the Conway Hall in London to mark the 30th year since PSC’s foundation. 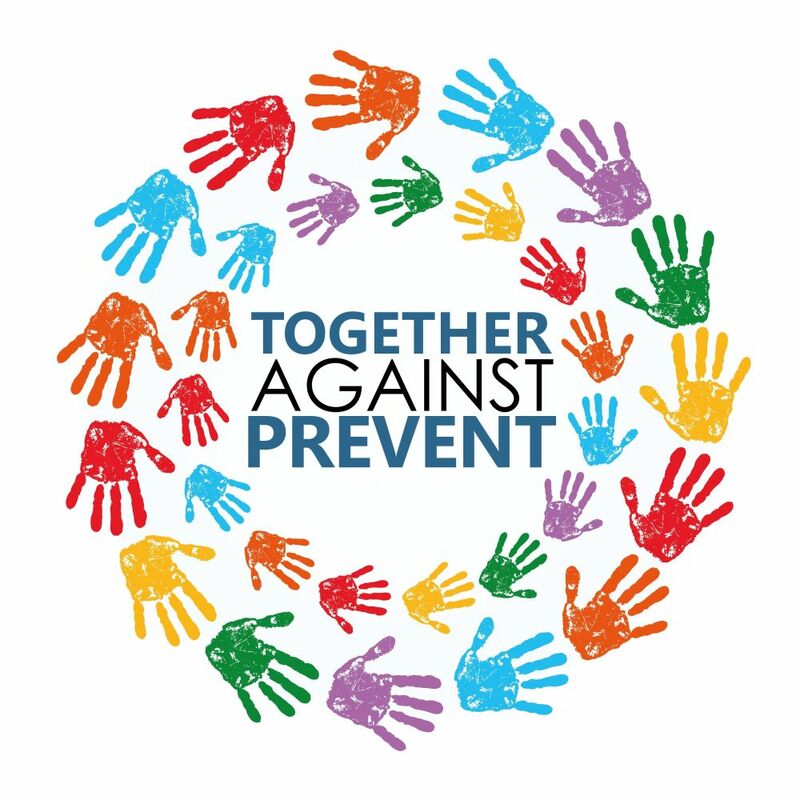 “At its most basic level, BDS calls for ending partnership in crime, ending complicity in the perpetration, justification and whitewash of Israel’s grave violations of Palestinian rights. “Withdrawing support for an evil policy or system, as Martin Luther King describes the boycott, is not heroic; it is a profound moral obligation,” Barghouti said. With recent successes such as huge contract losses for French multinationals Alstom and Veolia, both complicit in Israel’s illegal occupation, the University of Johannesburg’s severance of ties with an Israeli university implicated in human rights violations and the spread of the cultural boycott to prominent musicians and other artists, “BDS is on the verge of its South Africa moment,” said Barghouti. Building a mass boycott movement comparable to the South African anti-apartheid campaign was placed at the heart of PSC’s work for the coming year. The AGM resolved to team up with trade unions, students, faith groups, human rights organisations and others working locally, nationally and internationally to end the siege of Gaza, to halt ethnic cleansing of Palestinians within Israel, in Jerusalem and elsewhere in the Occupied Palestinian Territories; to expose major companies complicit in colonial occupation and settlement, to bring to light the repressive apparatus of the Israeli state in its treatment of Palestinian prisoners and of children living under occupation and to challenge the media bias that marginalises the Palestinian narrative. The call embodies the fundamental principles of Freedom, Justice and Equality in three basic demands which are the minimum required to achieve self-determination – right of return for refugees; end of 1967 occupation and colonisation; equality for the indigenous Palestinians inside Israel. Israel’s regime of multi-tiered oppression had to be understood as settler-colonialism, occupation and apartheid, Barghouti said. He stressed that BDS is a universalist movement categorically opposed to all forms of racism, including Islamophobia and antisemitism. “This is not negotiable,” he said. Equating Israel with “the Jews” is unacceptable and antisemitic. “Only Zionists and Nazis do that,” said Barghouti . Suggesting that “the Jews” and Israel are one and the same “implies that Jews are one monolithic sum who think alike and are all collectively equivalent to Israel and responsible for Israel. If this is not antisemitic, I am not sure what is!” Barghouti said. A motion from Tony Greenstein and Naomi Wimborne-Idrissi, of Jews for Boycotting Israeli Goods (J-BIG), calling on the EC to integrate these principles into the work of the movement, was also passed overwhelmingly. They argued that Zionists’ baseless allegations of antisemitism, and cynical abuse of the memory of the Holocaust, would harm the Palestine solidarity movement if used to justify ignoring genuine Jew-hatred when it arose. PSC Executive Committee member Ben Jamal regretted that Zionists attacking the movement had been able to cite a few “indefensible statements” by some individuals. Trade Union Advisory Committee member Steve Bell called on the AGM to make it absolutely clear that membership was not open to people holding antisemitic views. The AGM had earlier upheld the removal from PSC membership of Francis Clark-Lowes, whose appeal statement stunned listeners with its unapologetic racism. “Dislike of groups”, he said, should not be regarded as “a cardinal sin”. A Jew challenging “Jewish ideology” did not cease to be a Jew, any more than a dog that had lost a leg ceased to be a quadruped. An edited version of Clark-Lowes speech swiftly found its natural home on websites peddling racist conspiracy theories where his words were described as “beautiful”. Such attitudes, Tony Greenstein pointed out in debate later on, were not only morally repugnant but would make it impossible to promote Palestinian rights in the trade union movement or within churches. See also Tony Greenstein’ report of the PSC AGM and thorough pre-AGM review of the issues on the agenda.